Such was the somewhat simplistic and sentimental account of life in Feodosia left by the French traveller Jean-Charles de Besse, who visited Crimea in 1829 and 1830. At that time, Ivan Gaivazovsky, the young son of the Armenian warden of the local bazaar, was taking his first lessons with the architect Yakov Koch. The town governor Alexander Kaznacheyev was quick to notice the boy's talent. Back then, Feodosia was a small, cosy provincial town, nestling on the Black Sea coast beneath the mountains of the Crimea on one side, and the expanses of the windy steppes on the other. Founded by the Greeks in the sixth century B.C., Feodosia had seen times of glory and prosperity, when a lively trade had flourished in its harbour. Over the many centuries of its existence, Feodosia had known both development and decline. In the 13th and 14th centuries, it acquired wealth and influence as Genoese merchants founded trading posts and built massive fortresses to defend themselves in the convenient bays of the Black Sea. Protected by several walls and tall towers, ancient Feodosia was then known as Kaffa: that was the name used by the poet Alexander Pushkin in a letter to his brother Lev, in which he shared his first impressions of Crimea. The evening mist falls on the sea’s blue deep. And ocean grim, sway, sway beneath. The references in this article to the poet, to General Rayevsky and to Feodosia town governor Bronevsky are not merely coincidental. Its story, one that brings together these figures and Feodosia, involves key events, individuals and acquaintances of that time: it also includes the painter Ivan Aivazovsky. In 2015, this writer was fortunate to acquire a lady's album of a kind extremely rare in our times. Perhaps more accurately termed a “family album”, this wonderful keepsake dates back to the days of Pushkin. As well as drawings in a number of hands, it contains texts written at different times, but all belong to the first half of the 19th century. Several pages feature the watermark J. Whatman 1811, offering a clue to the approximate date of the album's creation. While some of the drawings were made on the pages of the album, others have been pasted in. The poems and texts included in the album are likewise partly pasted in, and partly written straight onto its pages. If, in the middle of the 18th century, such handwritten albums were just beginning to appear among the Russian nobility, by the end of the first third of the 19 th century, they had become an important element of domestic life, an obligatory attribute of any salon and a necessary companion to any young lady of good taste. Quickly spreading to the Russian provinces, the fad became extremely popular. Eventually, it incorporated the new techniques of daguerreotype and photography, turning into a creative endeavour that reflected the styles and tastes of its time. After careful study of the album, and after consulting various experts and researching a number of print and manuscript sources, I succeeded in establishing the identity of its owner. 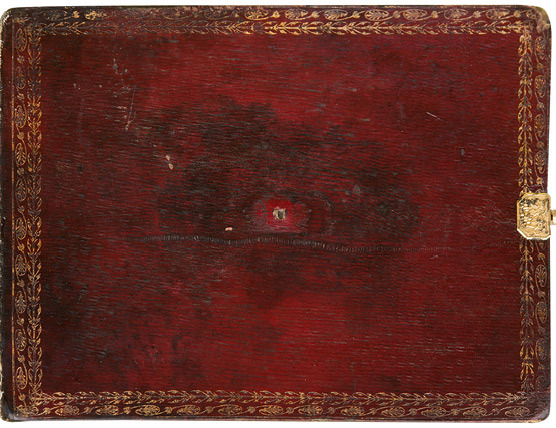 The album had belonged to Yelena Dmitrievna Gayevskaya, wife of State Counsellor Pavel Gayevsky (1775-1853), the town governor of Feodosia (1821-1822; 1828-1829) and head of the town's customs warehouse (1822-1853). The dates of Yelena Gayevskaya's birth and death have so far proved impossible to establish; details of her appearance are elusive, too. However, a number of fascinating and pertinent details concerning the life of her husband, Pavel, have been found. 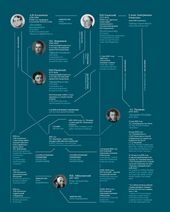 These new facts provided valuable insight into the chain of extraordinary events and coincidences that had an impact on the personality and creative development of the young artist Ivan Aivazovsky. These findings likewise shed light on the least known period of the painter's life, that prior to the young man's departure in 1833 to take up his place at the Imperial Academy of Arts in St. Petersburg. Of the many striking written entries in the album and its diverse array of drawings, three are of special interest. The first shows the head of the family to which the album belonged, Pavel Gayevsky. In the bottom right-hand corner of the watercolour portrait, a faded signature can be made out: “I Gaiva...” Gayevsky is shown in the formal coat of an official displaying the Orders of Saint Vladimir of the 3rd class, Saint Anna of the 2nd class, and of Saint Stanislav of the 3rd class. 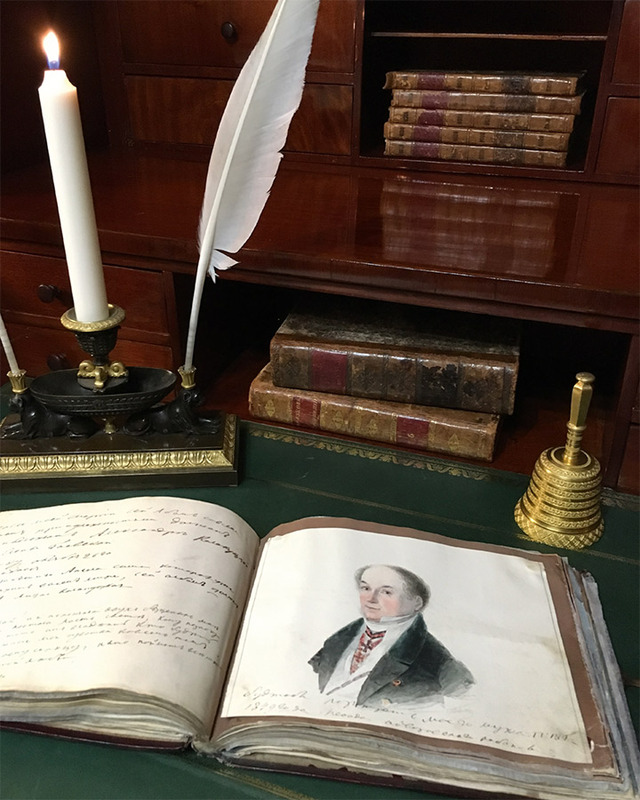 Beneath the portrait, an inscription in Yelena Gayevskaya's handwriting reads, “Seemingly, a portrait of my husband PVG [Pavel Vasilyevich Gayevsky], 1849 by ...aivazovsky”. A number of other images in the album are accompanied by similar comments from its owner. 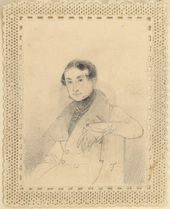 The year 1849 most probably points to the date of Gayevskaya's inscription, rather than to the time the portrait was created. Gayevsky was most likely painted before 1840, when the painter still signed his works as Gaivazovsky. Born on 15 April 1775 in the Poltava Province, Pavel Gayevsky graduated from Cadet Corps in 1792. 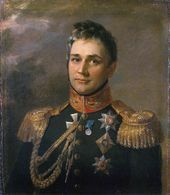 By the end of the 18th century he had become a warrant officer, and was appointed aide to Admiral Fyodor Ushakov and adjutant to the future Admiral Dmitry Senyavin during the taking of the islands of Corfu and Vido. The Napoleonic War of 1812 saw him head the chancellery of Prince Pyotr Bagration, Commander-in-Chief of the Second Western Army. Later, in 1821-1822 and again in 1829, he served as town governor of Feodosia. From 1822 until his death in 1853, he was the head of the town's customs warehouse. In Crimea at that time this was a position of significant influence: its previous head had been Alexander Turgenev, a member of the extensive Turgenev family, and a future governor of Tobolsk and Kazan. Another of Aivazovsky's portraits in Yelena Gayevskaya's album is a drawing of Alexander Kaznacheyev. 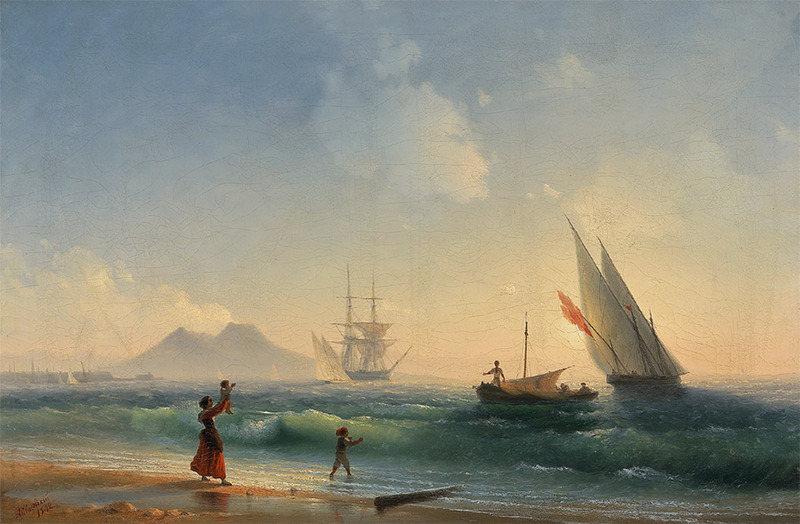 The likeness is signed with the letter “G” in the bottom right corner: this was typical of Aivazovsky's very earliest works. 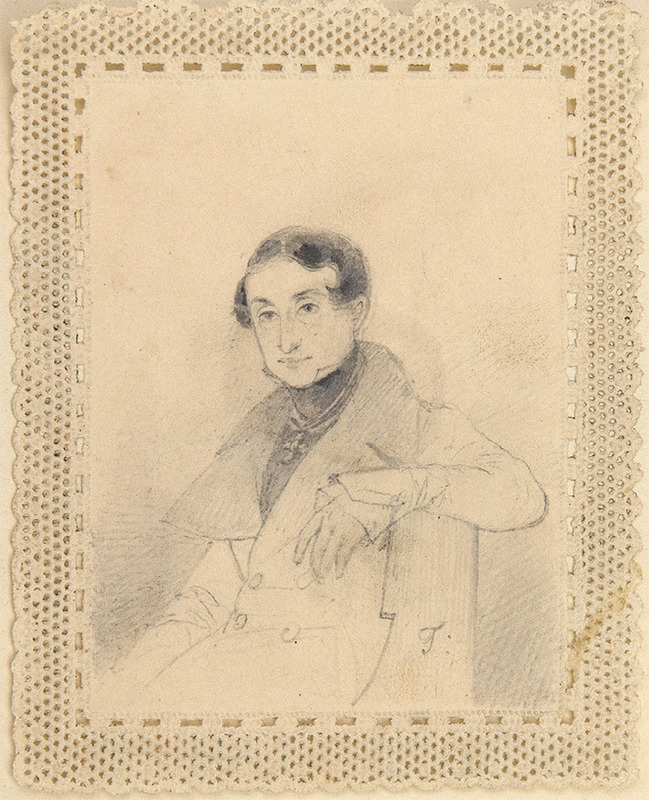 The nature of the drawing with its somewhat timid pencil strokes suggests that the artist produced this portrait not long after making Kaznacheyev's acquaintance in the early 1830s. 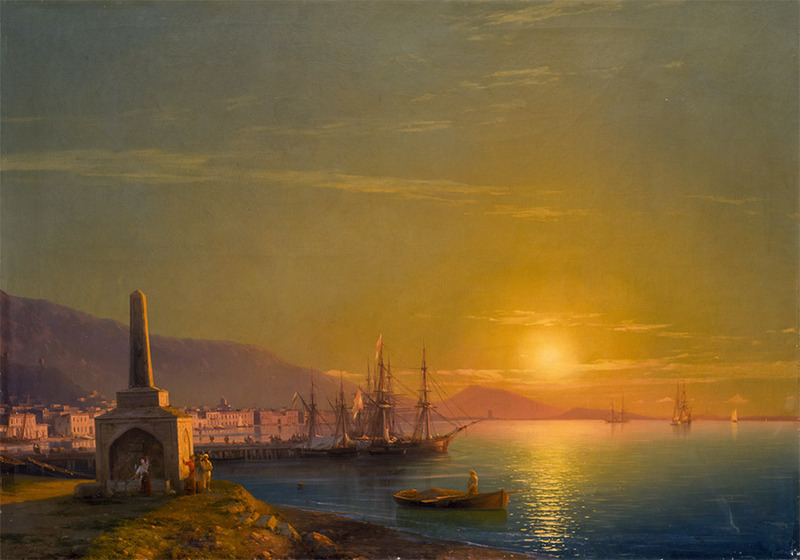 Kaznacheyev's role in Aivazovsky's rise as an artist is impossible to overstate: as town governor of Feodosia between 1827 and 1829, Alexander Kaznacheyev was the first to notice the 13-year-old boy's talent. After he became governor of Tavrida, Kaznacheyev in 1830 took the young Aivazovsky with him to Simferopol, where the boy lodged with his family and attended school with his sons. After Ivan left for St. Petersburg, Kaznacheyev continued to offer the young man his assistance. The artist retained a lifelong gratitude to his benefactor, producing two oil portraits of him in later years: one is now held in the Aivazovsky Picture Gallery, the other at the Russian Museum. 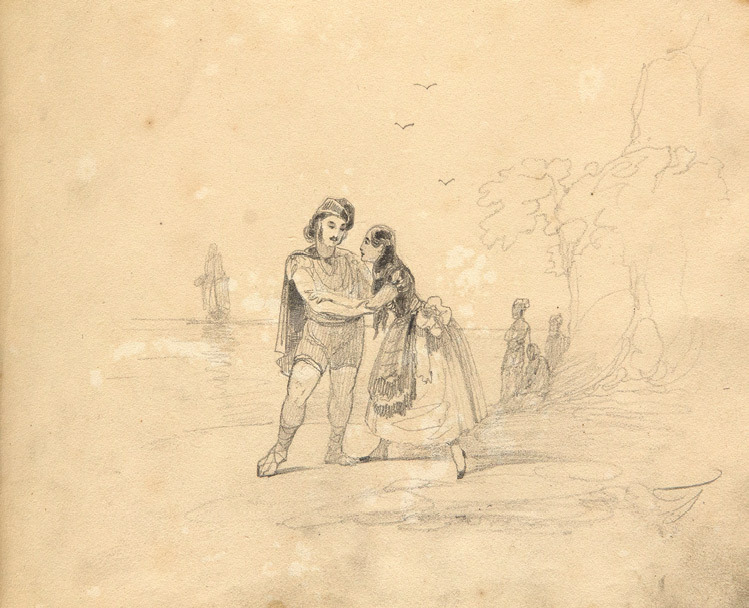 The third drawing in the album by Aivazovsky shows an idyllic genre scene of farewell. Once more, the bottom right-hand corner is signed with the letter “G”. 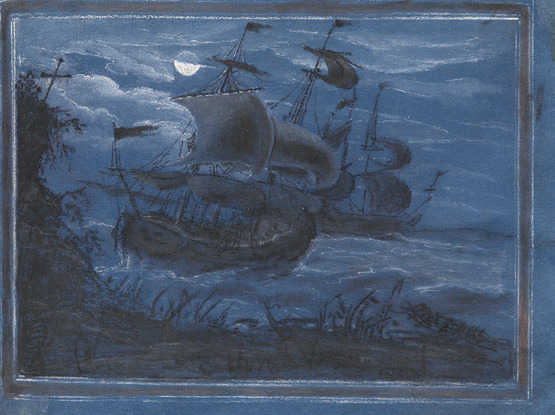 Moving in its childlike naivety, the drawing may have been based on an unknown original. 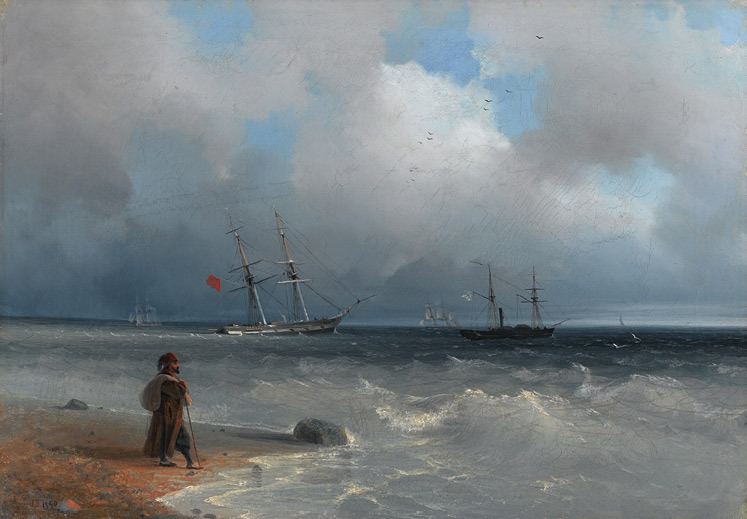 Themes of meeting and parting are common in Aivazovsky's art, with the painter producing a wide variety of interpretations such as the seascape “Meeting of Fishermen on the Shore of the Bay of Naples” (1842, Tretyakov Gallery), or “Seashore” (1840, Tretyakov Gallery), which shows a traveller bidding farewell to the seas. Continuing the theme of encounters and separation, in 1868 the painter produced “Seashore. The Farewell” (Tretyakov Gallery), and finally, in 1887, the large work “Pushkin's Farewell to the Sea” (National Pushkin Museum, St. Petersburg). 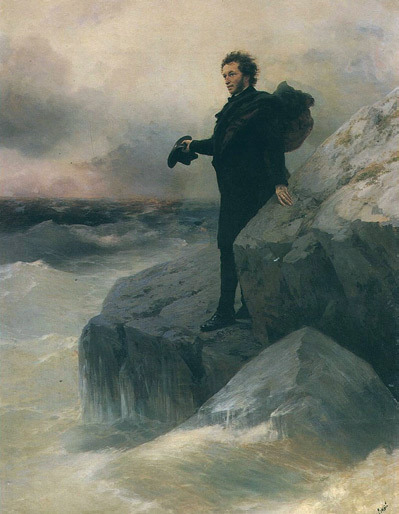 It was a poignant topic that lay close to the artist's romantic heart: raised on the shores of the Black Sea, Aivazovsky had had to leave behind his beloved hometown countless times, bidding the sea farewell, only to return on another occasion. 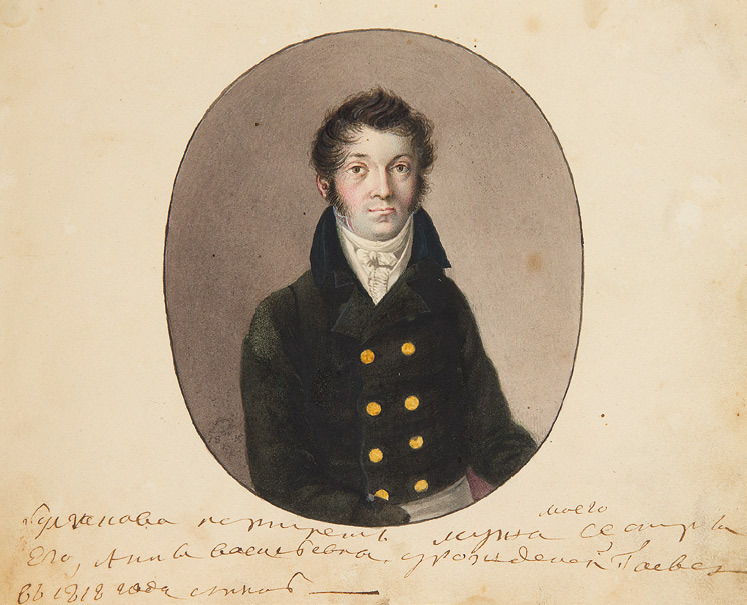 Another portrait in Yelena Gayevskaya's album is a watercolour of the family's relative, a certain Bulgakov, painted by Alexander Orlovsky in 1815, while Pavel Gayevsky was serving in St. Petersburg. The album also contains an entry by Alexander Suvorov's granddaughter, Princess Maria Golitsyna. Much admired by Pushkin, who dedicated three romantic poems to her, the Princess was the sister of Varvara Bashmakova (nee Golitsyna), who was a close acquaintance of Aivazovsky. It was Bashmakova's carriage that, in 1833, bore the young Ivan from Simferopol to St. Petersburg to begin his studies at the Imperial Academy of Arts. 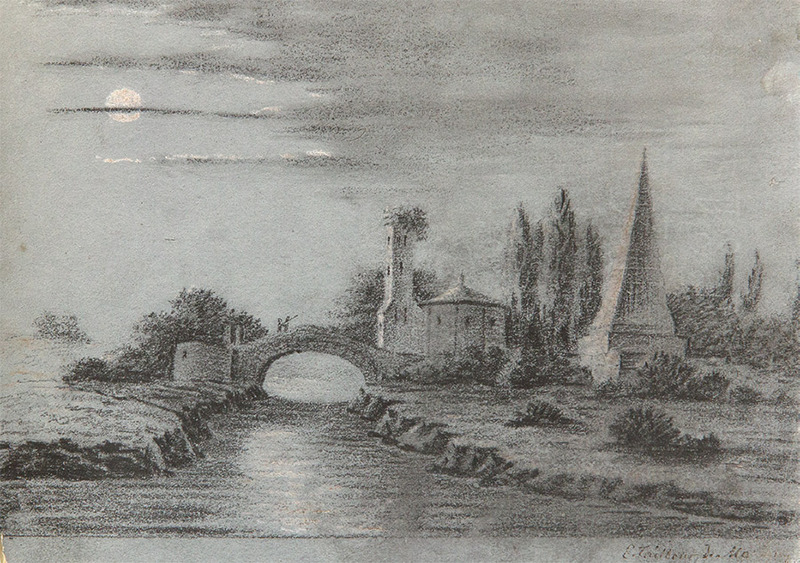 During a brief stop in Yekaterinoslav (currently Dnepropetrovsk), the budding artist created one of his earliest drawings, a view of the town, which he later offered to Varvara Bashmakova. 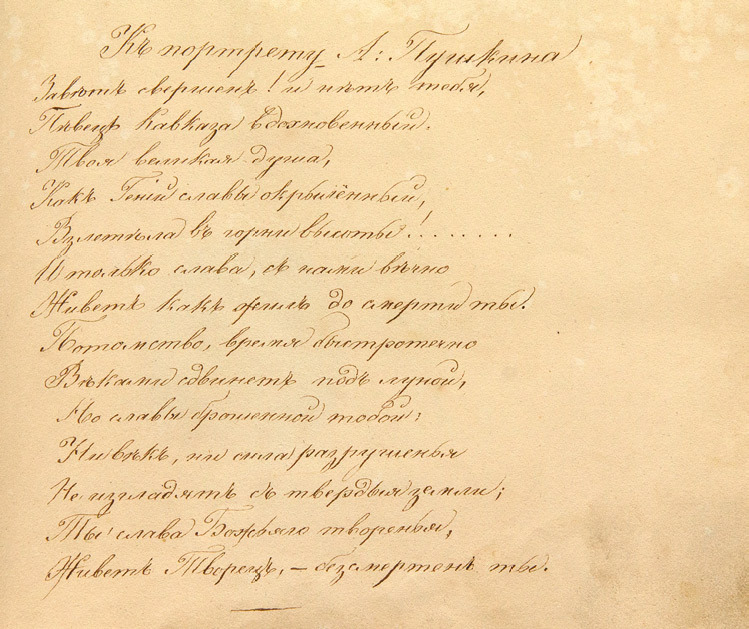 Another page in the album reveals a poem in French by Maurice Destrem, a well-known scientist, Lieutenant-General in the Transport Engineer Corps, and one of the key figures behind the construction of Russia's first railways. 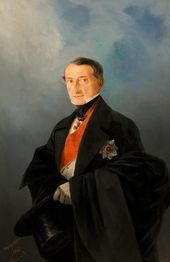 Under Duke Richelieu, Governor General of Novorossiya and Bessarabia, Destrem helped to build much of the city of Odessa. An important historical entry in the album is a long note from Pavel Gayevsky himself. Dated March 1845, the detailed four-page account describes a parting visit to his Feodosia home from Count Mikhail Vorontsov, who was on his way to take up the post of Viceroy of the Caucasus. Travelling with a group of aides, the Count continued his journey aboard the ship Bessarabia. Such are a few of the extremely diverse artistic and historical gems contained in the Gayevsky family album. Altogether, this wonderful find gives a fascinating picture of the family's circle of acquaintances in the first half of the 19th century. The drawings by the young Aivazovsky, together with the notes, sketches and references to friends and acquaintances of the Gayevsky family, offer an insight into the life of the young man who would later become a great painter. We are able to form an impression of his surroundings and of his relationships, and to gain an idea of the kind of atmosphere in which he grew up. Returning to the history of the town of Feodosia, and the wider history of Russia too, two of the main characters portrayed by Aivazovsky in the album deserve further attention. Pavel Gayevsky and Alexander Kaznacheyev most probably met during the Napoleonic War of 1812. 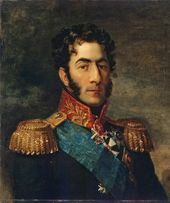 Gayevsky was at that time head of the chancellery of Prince Pyotr Bagration, Commander-in-Chief of the Second Army, while Kaznacheyev was an adjutant to Prince Mikhail Kutuzov, Commander-in-Chief of the Russian Army. In the Second Army, Gayevsky also made the acquaintance of the future Governor General of Novorossiya and Bessarabia, Mikhail Vorontsov, who at that time commanded a division in Bagration's army. Gayevsky was also an old friend of General Nikolai Rayevsky, who commanded a corps in Bagration's army. The first reference to their friendship dates back to 1806, taking us to Kamenka, the Rayevsky estate: in a letter to Count Alexander Samoilov, General Rayevsky mentions Pavel Gayevsky. On May 1 1820, Gayevsky was appointed head of the customs office in Kiev, most probably on Rayevsky's recommendation. Shortly after that, in 1821, he was sent to Feodosia to manage the customs warehouse there. In 1821 and 1822 he served as the town governor of Feodosia, appointed to put the town's affairs in order. Historians have noted his huge service to the development of the area: Gayevsky introduced significant reforms in Feodosia's governance. Earlier, between 1815 and 1820, he had been in charge of the third division of the Department of Property under the Ministry of Finance of the Russian Empire, thus bearing responsibility for the administration of Russia's governorates. “In accepting the task of putting to rights a situation in such disarray, I started with the internal management of my chancellery. Dividing it up into several desks, I then split the business into categories, defining the responsibilities of the various chancellery ranks and staff. In this way, I gave the running of the chancellery an entirely new direction, which revived all aspects of governance and gave me the opportunity to make all the changes that I list below,” Gayevsky wrote in his town governor's report in 1822. During the years that followed, until 1827, when Kaznacheyev arrived in Feodosia to take over the post of town governor, Gayevsky played a key role in the reform and development of the town. Taking over from Gayevsky, Kaznacheyev took measures to refine the system of governance further, improving conditions for trade and relations with foreign representatives, redistributing land and developing vineyards and the production of wine in the eastern part of the Crimea. This letter bears testimony to the cordial relations that existed between Gayevsky and Kaznacheyev. Under these wise and caring governors, Feodosia prospered once more, gradually turning into an attractive, orderly town. Small wonder, then, that two of the town's streets were named after Gayevsky and Kaznacheyev, as was the Gayevsky fountain. 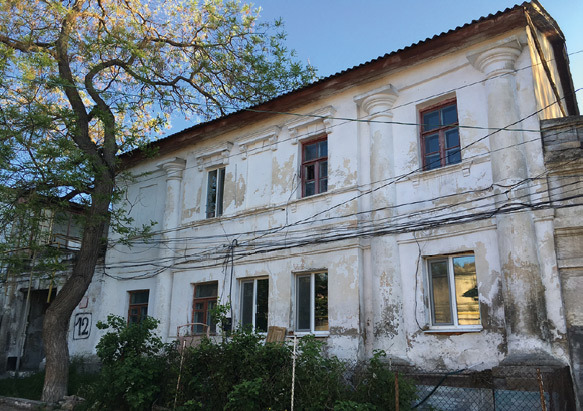 Decades later, Ivan Aivazovsky would continue their good work with further construction and development in Feodosia, not as a town administrator, however, but simply as a man born and bred there, who dearly loved his native parts. Among Feodosians, he came to be known as a “kind genius”. Aivazovsky first met Kaznacheyev in 1827 and, some time afterwards, the town governor also introduced the young Armenian lad to Gayevsky. The Gayevsky family was well-known for its hospitality, and entries made in the album by friends and guests of the couple clearly show that Yelena Gayevskaya was much appreciated for her kindness and generosity. The astounding military and diplomatic victory achieved by Admiral Ushakov and the Russian fleet in the drive to liberate Italy from the French was noted by all contemporary historians. Gayevsky's tales of heroic deeds and naval voyages were likely to have ignited an interest in history and in the Russian fleet in the young artist Aivazovsky. As well as Kaznacheyev, other likely frequent guests in the Gayevsky household were Khristophor Anastasiev, chairman of the Feodosia Court who had been Suvorov's comrade and adjutant, and Semyon Bronevsky, a former Feodosia town governor, who was a veteran of Russia's Persian campaign and the founder, in 1811, of the town's Museum of Antiquities. Bronevsky died in Feodosia on December 27 1830. In 1838, his dacha with all its contents and his archive was sold to General Pyotr Kotlyarevsky, a hero of Russia's wars in the Caucasus - the “scourge of the Caucasus”, as Pushkin called him. Upon Kotlyarevsky's death Aivazovsky, who had known and highly respected the general, ordered a chapel to be built in his memory. Under Aivazovsky's supervision, indeed, archaeological digs were conducted in Feodosia, with numerous finds going to the Museum of Antiquities. The artist also had new premises built for the museum on Mount Mithridat. Pushkin was an important figure in Aivazovsky's life and work. The artist and the poet did not meet until 1836, but the stories that the young Ivan had heard about Pushkin, and the readings held in the homes of Gayevsky and Kaznacheyev had ignited the young painter's interest. The two met in St. Petersburg while the future marine painter was finishing his studies at the Imperial Academy of Arts. 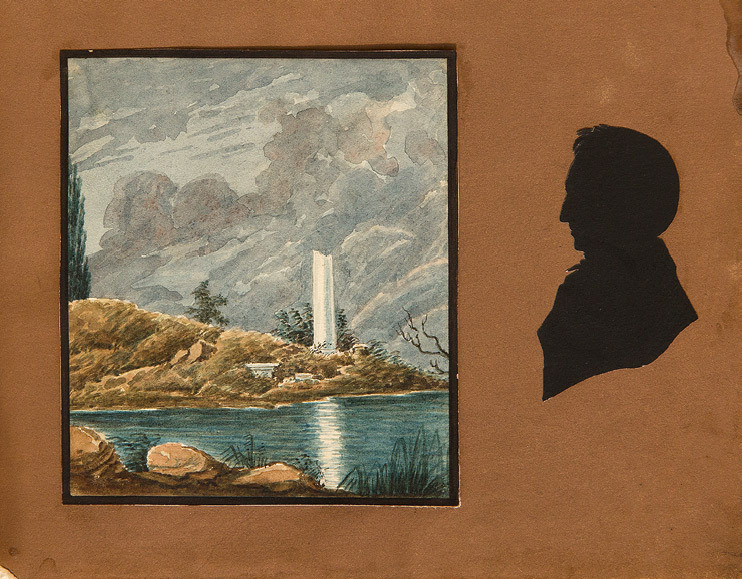 The notes and drawings from this family album bring an entire era to fascinating life. Each of the participants in this story followed their own unique direction, yet fate brought them together at certain times, causing their seemingly separate paths to cross. Through its pages, the facts of many lives, buried in the dust of time, emerge with greater clarity, offering us precious insights into times gone by. * Edouard Taitbout de Marigny (1793-1852) - diplomat, geographer, archaeologist, collector of antiquities and artist from an old French noble family. 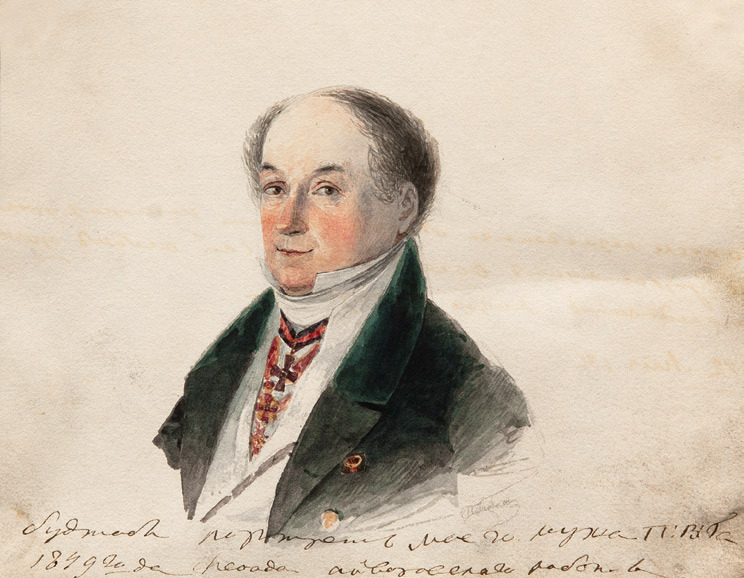 In the 1820s, Taitbout de Marigny was Vice-Consul of the Netherlands, first in Feodosia and, later, in Odessa. In 1830 he became Consul and, in 1848, General Consul of the Netherlands in the ports of the Black and Azov Seas. 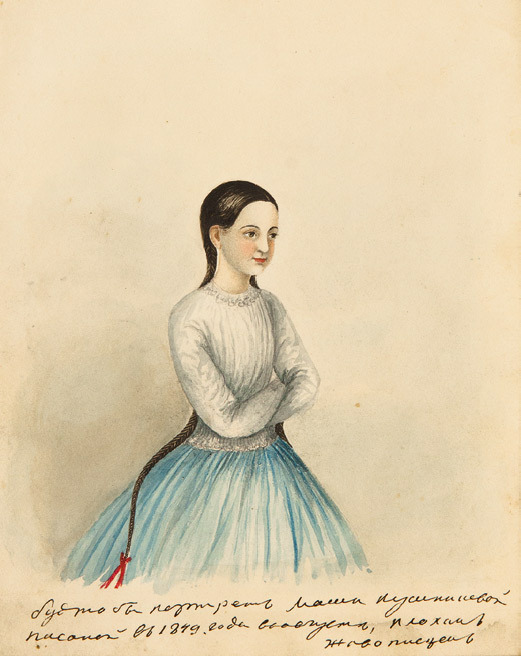 In the 1840s, Taitbout de Marigny owned, and was captain of, the brig Julia. In 1821, 1823-1825 and 1829-1851 he explored the Azov, Black and Mediterranean Sea coasts, paying particular attention to ancient ruins and studying the local history, culture and way of life. ** Maria de Walden (Kushnikova) - writer and translator, born into the well-known Kushnikov noble family of benefactors and philanthropists. Her grandfather was the Active State Councillor and millionaire industrialist Grigory Kushnikov. In 1830, Kushnikov bought a house in Feodosia, in which Alexander I subsequently stayed for two months. 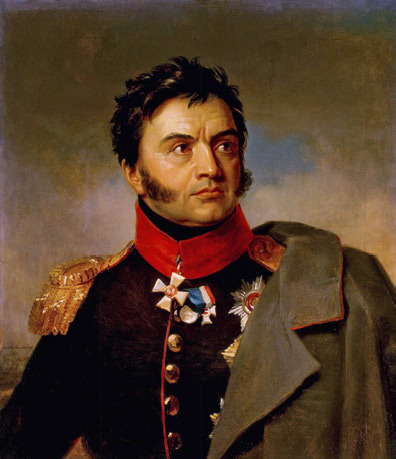 In 1845, Kushnikov bequeathed 300,000 rubles to the Kerch Institute for Noble Maidens, as a result of which the institute was renamed in his honour. Maria Kushnikova and her family knew Ivan Aivazovsky well. 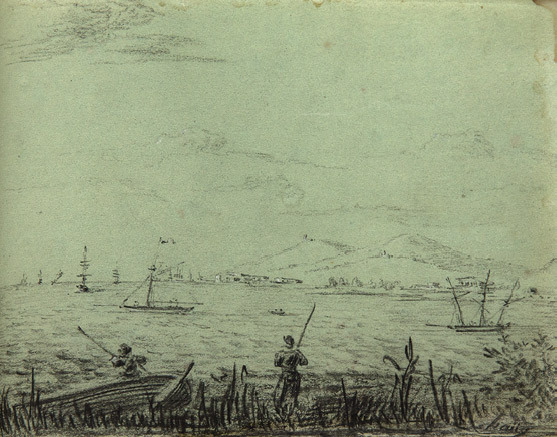 *** This pencil drawing by Frederic Sorrieu shows the stone monument to Russo-Turkish friendship on the Asian coast of the Bosphorus. In the background, ships from the squadron of Counter (Rear) Admiral Mikhail Lazarev are on their Constantinople mission off the European coast of the Bosphorus. The monument was erected to honour the arrival of Imperial Russian troops in the Bosphorus at the request of the Turkish Sultan. 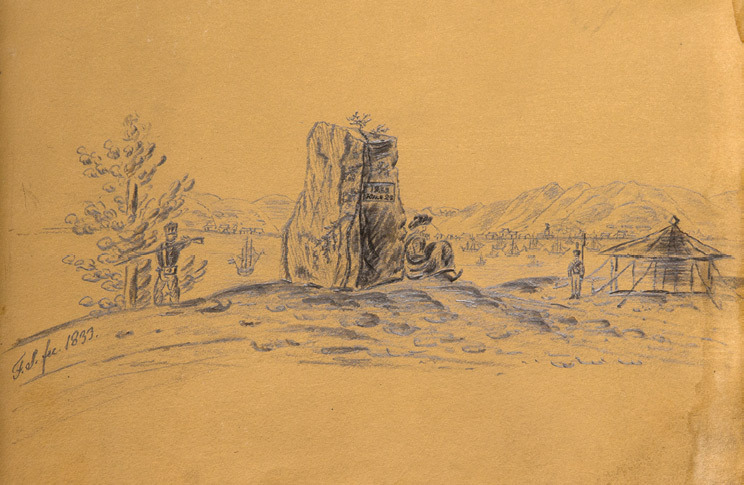 The drawing shows a Turk sitting by the monument, with Russian soldiers nearby. Letter from General Nikolai Rayevsky to Count Alexander Samoilov. Rayevsky family archive, 1908 edition, vol. I. P. 48. Kaznacheyev, A.I. “Personal Letters to Count M.S. Vorontsov”. Novy Khronograph publishers, 2015. Ivanitskaya, Anna. “Power and the Town”. Feodosia Art Life, 2005. 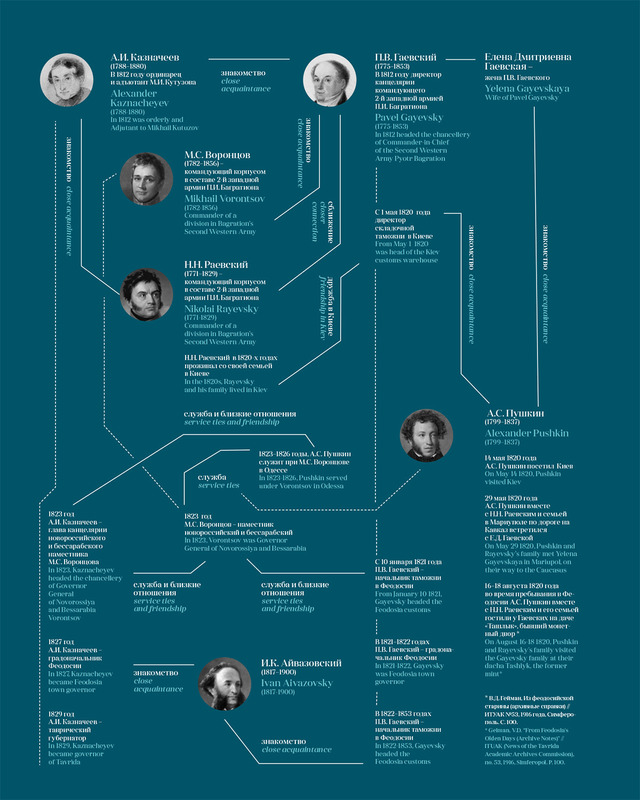 In 1905, a significant portion of Bronevsky’s archive was lost in a fire. The remaining part was burned in the 1930s, when a sanatorium was created on the spot where his dacha had stood. 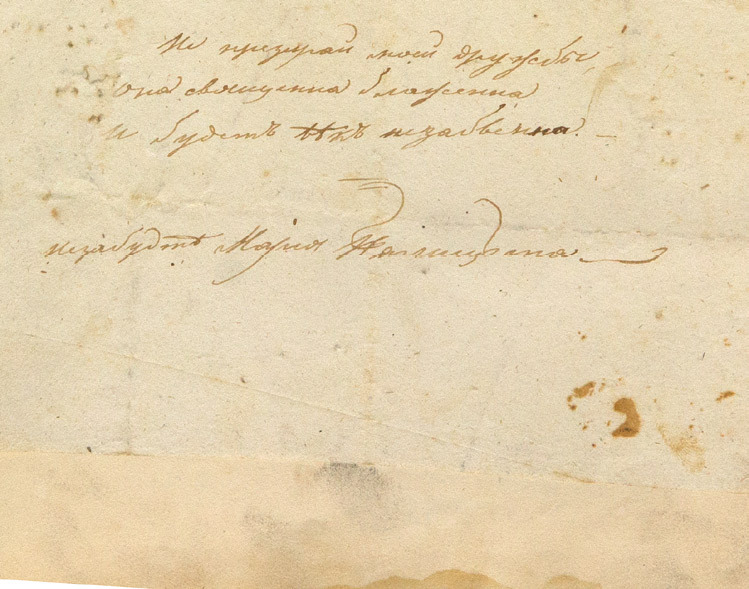 Letter from Alexander Pushkin to Alexander Kaznacheyev, June 1824, Odessa. Translated from the French. Lotman, Yury. 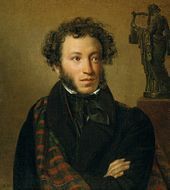 “Alexander Sergeyevich Pushkin”. Prosvescheniye, 1981. 13 June-6 July 1820, Caucasus Mineralniye Vody; Rayevsky family archive, 1908, vol. I. P. 516. FRÉDÉRIC SORRIEU. 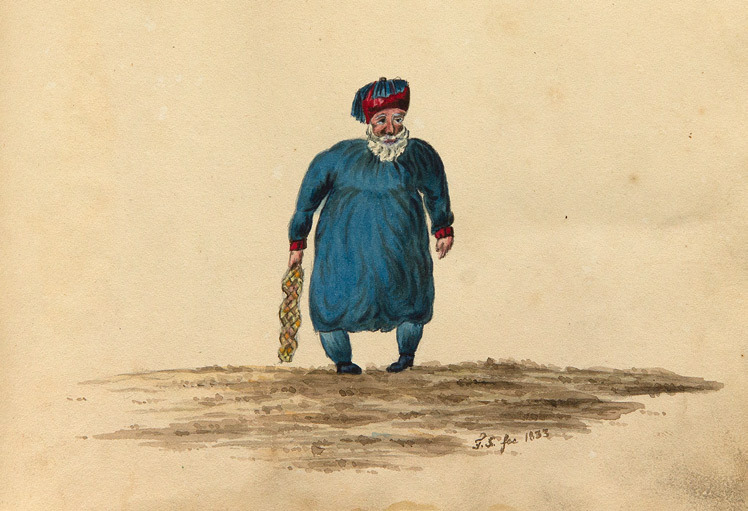 Cartoon showing Muhammad Ali Pasha (?). 1833.